I'm grateful for my Dads. The 3 men who I call Dad. 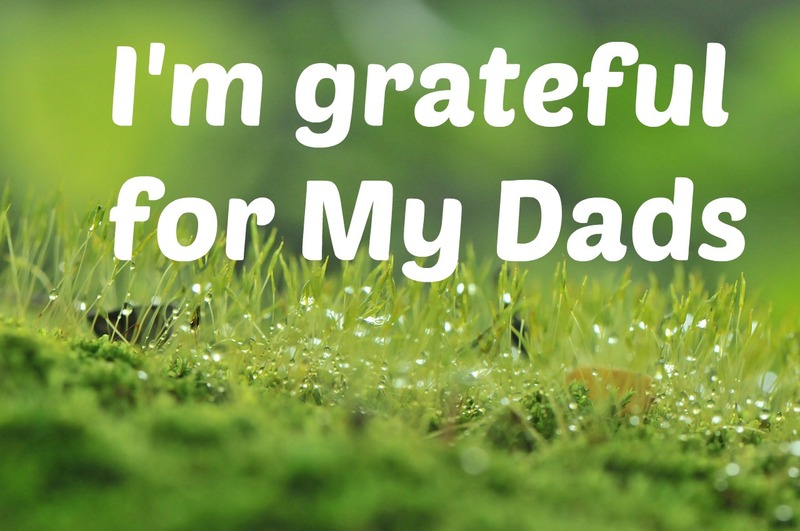 First I am grateful for my father who's face I share. We really do have the same face and eyes, we're just slightly different skin tones. I'm grateful for his presence in my life. The older I get the more I realize how alike we are. We laugh at our own jokes, we have similar perspectives on life and we're so laid back. He hasn't always been in my life but I'm grateful that for the first time in a long time we are living in the same county. I've seen him more times in the last few weeks then I have in years and that's so awesome. He recently got out of the army and moved back to LA to go to film school. I have a film degree so needless to say we have a lot in common. I love my dad so much. I get my creativity and unique outlook on life from him. He's not afraid to be different or just be him. He's kind and passionate. He's also one of my biggest supporters. He believes in me so much. Next would be my Dad who raised me. He came in my life when I was just a little girl. He taught me so much but two things that stand out to me today are, 1. Respect and 2. Self Worth. He was very insistent that as children we respect our elders. We had to say, Yes Sir, Yes Ma'am and call people Mr. and Mrs. There was no shortcuts. Even if adults insisted we call them by their nickname or first name it was always to be proceeded with a Mr. or a Mrs. Also we were expected to greet adults with a hello and how are you? We were taught to make eye contact and heed their directions. I think that was one of the more important things I was taught because it helped me navigate through life. It gave me courage to speak to everyone no matter their race, age or position in life and it opened doors because I was the polite and respectful kid that everyone wished was theirs. And my dad also taught me that no thing in this world would equate to who I was. Things and Stuff couldn't make me or break me and that I had every opportunity and possibility to succeed as the next person because of who I was. Even when we had no money and no place to live my Dad would still say that we weren't poor or no one was better than us. He showed us what was important in life and those things could seldom be bought. I'm grateful for how he went without so that we could have a better life. Last but not least would be my dad in law. He's such an awesome man who I have so much respect and love for. I remember shortly after my hubby proposed, Dad was visiting and we were on our way to the movies. I just remember that it was around Valentine's Day and we were talking about flowers for the wedding and as we were about to pass a flower shop, Dad told my hubby to stop the car. I thought maybe he wanted to ask them a questions. He got out and went into the shop and came out with one long stemmed rose. He came over to the passenger side door and handed me the rose. He said, "Thank you for agreeing to be my daughter. You have made me a happy man." I started to cry. I felt so much love and I knew in that moment that not only was I marrying the man of my dreams but into an amazing family. Today I am so blessed to have these men in my life. They have made an imprint on my life that I will never forget. Today I honor them and wish them a very Happy Father's Day. I know they are all waiting for the day to be grandpas to our future kids and remind me every chance they get. One day but not today and most likely not tomorrow but one day. Thanks to those who read my posts and leave me comments I appreciate you so much. Leave me a comment today detailing an important lesson your dad taught you or if you're dad isn't around or you never got to meet him something an important father figure taught you. Hope you enjoyed the post and as always thanks for reading.